Valmet deepens its over 20 year's cooperation with Pesmel along its latest business reorganization. According to the signed cooperation agreement, Pesmel will act in the future as Valmet's exclusive contract supplier in roll handling, packing, and storing technology. Pesmel will take full responsibility of Valmet's roll handling and packing systems, R&D, manufacturing, and system deliveries. Valmet will continue roll handling and packing systems sales as part of its project sales under the Valmet brand; and Pesmel will start the sales of Valmet products as part of its project sales through its own sales channels under the Pesmel brand. Pesmel's organization and current product portfolio matches well with Valmet's roll handling business. Pesmel's strong engineering resources will set a good basis for the development of Valmet OptiWrap product family in the future. "Pesmel's first roll handling deliveries with Valmet technology are already going on," says Valmet's Paper Mills Business Unit President Kari Nettamo. Along with the responsibilities, key resources have been transferred to Pesmel's payroll. According to Pesmel's President and CEO Tony Leikas, both parties see the deepened cooperation as a unique chance to improve their market position. "Together these companies form the strongest player in roll handling business with a wide product portfolio. Contract supplying is expected to increase the paper segment business and to also create new prospects for the TransRoll® high rise storage concept." Pesmel Oy is an international expert in material handling. 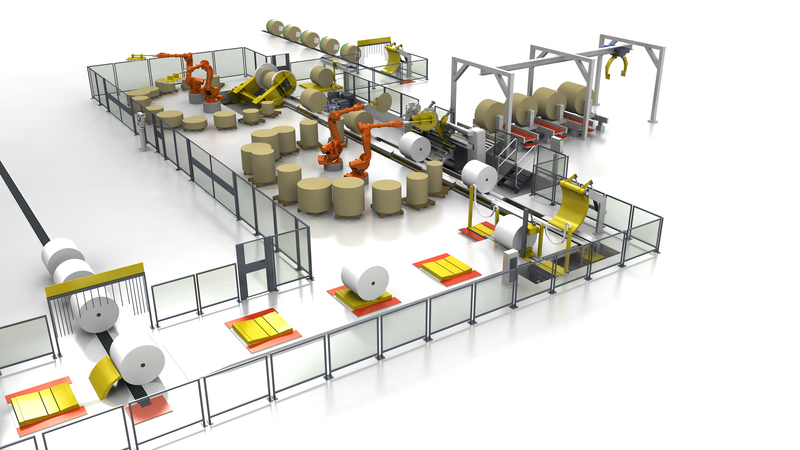 Company's highly automated handling, packing and storaging systems improve the internal logistics of the mills as well as the product quality. Pesmel's two main customer groups are metal and paper industry.